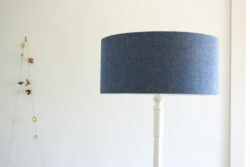 A well balanced mixture of exquisite colours in the yarn, inspired by the colours of the sea, hills, and land of the Outer Hebrides, together with the luxurious texture of the cloth, ensure that each piece will become an instant classic. 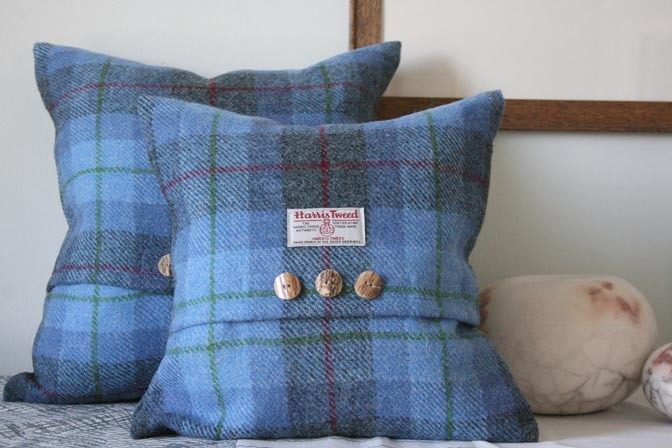 Stunning hand crafted cushions and homeware made exclusively by the Tweed Workshop for Mansefield Studios, Argyll, from Harris Tweed. 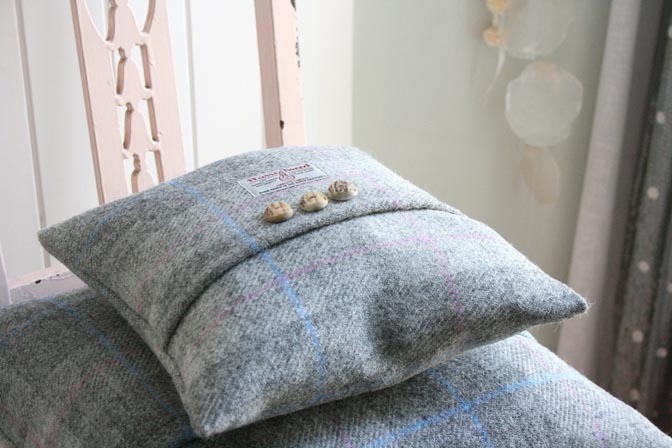 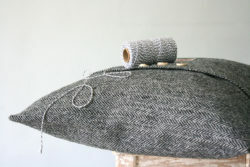 To meet the legally prescribed definition of Harris Tweed, tweed has to adhere to a strict specification: a tweed must have been hand-woven by the islanders at their home in the Outer Hebrides and made from pure virgin wool dyed and spun in the Outer Hebrides. 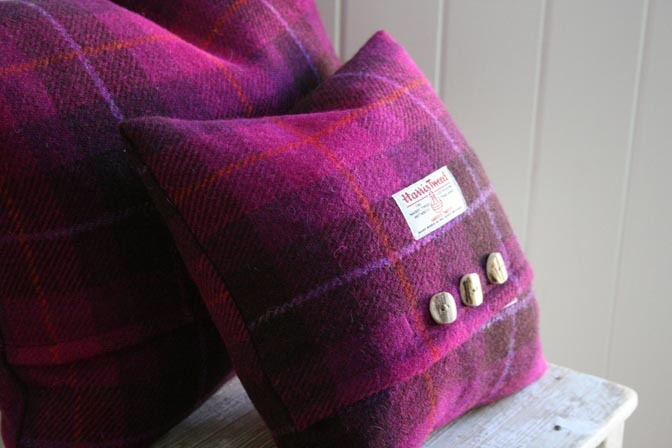 The Harris Tweed Authority's Orb Mark trademark provides detail, and certifies it's hand crafted origins. 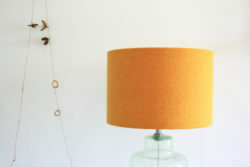 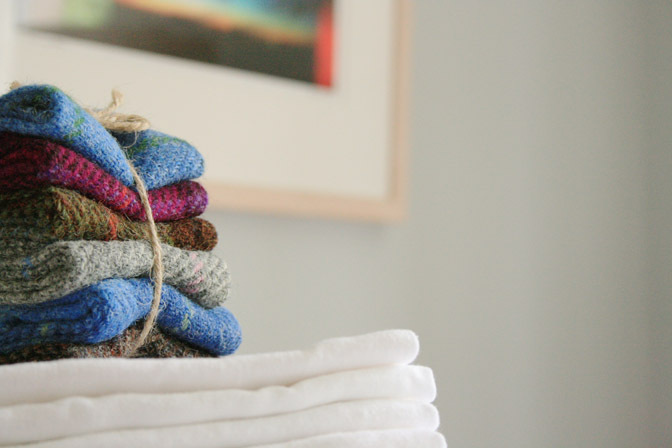 The stunning colours in the yarn are derived from the colours of the hills and land of the Outer Hebrides. 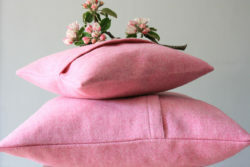 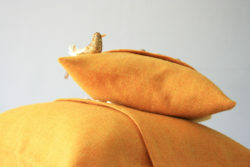 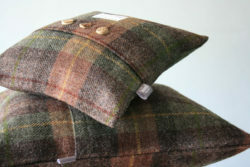 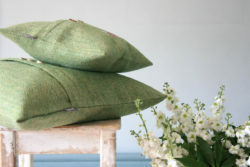 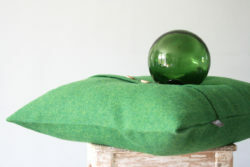 These cushions come in a range of earthy greens and browns, fresh bright blues, cool greys and vibrant pinks.